Best of Houzz Winner 2018 & 2019! We build outdoor living spaces. From concept, design, permits, to installation. We will make your yard more functional, enjoyable, and great curb appeal. Snohomish Custom Kitchen & Bath Remodeler 4X Best of Houzz Winner! USI originally specialized in an under deck ceiling product called Undercover Systems. This product was patented and franchised in the late 90’s and continues to outperform other under deck drainage systems nationwide. Having exhibited trustworthy and reliable business practices with Undercover Systems, USI received frequent requests from its customers for outdoor construction services that, at the time, were outside the company’s purview. 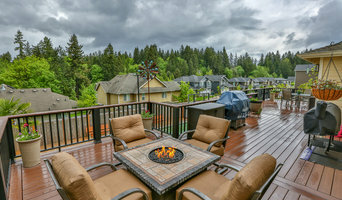 However, through patient networking with long-time local talents in the residential construction industry, the ties were eventually made in 2013 that finally allowed USI to offer a well-rounded menu of products and services that cater completely to outdoor living spaces for the entire Puget Sound region. Now USI has divided into 6 divisions to compliment all of your outdoor living needs, including MasterDecks, Timberline Patio Covers, Undercover Systems, Seal Team One, ResCom railing systems, and Rock Electric. Modern-Shed is the original in a national trend of prefabricated outdoor structures. We provide simple solutions for people in need of more space. Modern-Sheds can be used as typical garden sheds, but they're at their best when used as home offices, crafting studios, guest homes, man caves, music rooms, home gyms and more. How will you use your Modern-Shed? Timberline Patio Covers is the leader in high-quality outdoor roof structures. Patio and deck covers extend your living space outside your home. We are a residential construction company, locally owned and happily serving the Greater Puget Sound since 2009. We pride ourselves on the breadth of our services, the depth of our designs, and quality of our craftsmanship. Our Design Leaders and Project Managers expertly and patiently guide all of our customers from start to finish, regardless of the complexity of the project. We even provide Permitting Services, when needed. Our employees are held to standards that exemplify the values that have allowed Timberline Patio Covers to grow into a company you wouldn't hesitate to refer to your neighbor. Whether you’re having a barbecue with family and friends, or relaxing with a book, patio covers protect your deck from the sun, rain, snow, and other elements. We build custom patio and deck covers to fit every budget. We can create a new addition to accommodate a front porch, backyard patio, or second story deck, build a freestanding roof or gazebo, add skylights, recessed lighting, heaters, fans, TV and speaker systems. It is your outdoor living space. Let us help you make your dreams a reality! Decks and Patio Covers, general contractor, provides design, sales, and installation of superior low maintenance outdoor living products with the primary focus of every project being your outdoor lifestyle. A design that functions and product durability are my highest priorities when it come to recommending products and helping you creating your perfect outdoor living space. "Durability is Green" and durability and low maintenance is what Decks and Patio Covers provides by combining proven construction techniques with Wolf Decking products. Designed for the northwest, impact resistant and powder coated aluminum frame patio covers are by far and away the best patio cover ever made and the best you can buy. 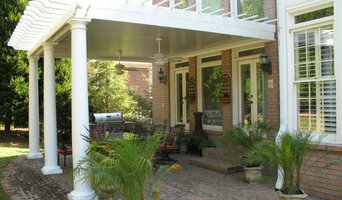 Go to <a rel="nofollow" target="_blank" href="http://www.decksandpatiocovers.com/patio-covers.html">http://www.decksandpatiocovers.com/patio-covers.html</a> to learn more. Lakevue Renovations is a full-service remodeling company. 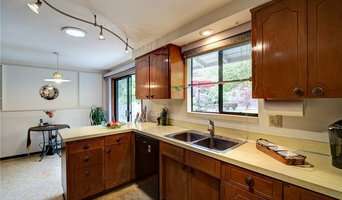 Specializing but not limited to, Kitchen, Decks, Bathrooms, Whole House Remodeling, Room additions, and Outdoor Kitchens. Jeff the business owner is a 35 year veteran of the residential remodeling industry. Being a long time carpenter himself brings a wealth of knowledge to every project. Jeff will come out himself to your home and help walk you through the first stage, with a free consultation. Communication, true craftsmanship, and follow through helps create an enjoyable and completed on time remodeling experience! Jeff and the Lakevue team look forward to meeting you! "We build relationships, one project at a time" You will have all our attention! At Hedahl Landscape, we... are EcoPRO certified...are Certified Sustainable Landscape Professionals. We currently have two individuals on staff who are EcoPRO certified, with horticultural degrees. We hire and train staff at a professional level so that the quality of our work is beyond industry standards. ...practice sustainable best management practices in our company operations, from our equipment and designs to our construction methods. ...strive to educate our clients on the value of building healthy soils, protecting and conserving our resources, and help to teach sustainable maintenance practices that you can implement in your own yard. ...have won more than two dozen landscape awards from the Washington Association of Landscape Professionals for our installations. We have been in business since 1998, and are a full service design/build/maint company. We love the landscape field, and our customer relationships and work reflect that. We receive a ton of referrals from our vendors and suppliers as well as our wonderful clients, which is very rewarding! How can we help you? Chris and Shannon McCarthy founded McCarthy Custom Homes in 2007. Our goal is to help you create a space that matches your vision at a price that fits your budget. We work with each client one-on-one in an old-fashioned way that seems to have been forgotten by most mainstream contractors, and Chris is on the job site every day to ensure that your project runs smoothly. Our four-man team completes most of the work itself, but we subcontract electrical, plumbing, roofing and HVAC work to our network of expert subcontractors. Call on McCarthy Custom Homes to help you with any new construction or remodel project. Let us help you make your house feel like home. Design Scales is a residential general contractor in North Seattle - Shoreline. We provide construction services for many types of residential projects. Examples of recent jobs include bathroom remodels, apartment remodels, basement remodels, decks, fences, tile and wood flooring installations, drywall repair, landscaping services, and handyman services. Rainier Shade is a provider of Residential Retractable Awnings and Power Screens. Products include: Awnings, Screens, Shutters, Patio Enclosures, Fabric Structures, Other Custom Fabric Work. Rainier Industries provides quality display, shade, and shelter products to satisfied customers around the world. Rainier was founded in 1896 and is one of the 100 oldest businesses in Washington state. Being a company founded in the nineteenth century, we base decisions on a long-term philosophy without compromising short-term constraints – we always try to do the right thing. We build and nurture long-term relationships with team members, customers, and suppliers. We are known for superior quality products and as the best alternative for our clients. Customers come first at Rainier; We do our best to earn trust and make sure no customer is left behind. Our goal is to make customers happy. Our main office and west coast manufacturing plant is near Seattle, Washington. We also have an east coast manufacturing facility in Statesville, North Carolina and sales representatives based in Dallas, Texas, and Orlando, Florida. We are family owned company with family values. The company is privately held with all stock owned by Scott Campbell, the CEO of Rainier since 1984. Under Scott’s leadership, the company has steadily grown, averaging 15% annual revenue growth. Seattle Business Magazine recognized Rainier as one of Washington State’s Best Manufacturing Companies of the year in 2015. At Rainier, Our Quality is Timeless. That speaks more about our future than our heritage. It reflects our priority every single day. Thanks for your interest in Rainier. We look forward to hearing from you. Your outdoor living space should be an oasis, a place to enjoy with your family and friends. As one of the leading outdoor living builders and deck designers in the nation, our deck builders work closely with our clients to ensure that their vision for custom outdoor living spaces become a reality. Our porch builders and patio builders will schedule a free design consultation with you to discuss your wants and needs for your project. Backed by a national brand that has designed over 100,000 outdoor living spaces, we pride ourselves in being locally owned while having the support of a national chain. Our company has been building and designing since 1980. If you're interested in learning more about how we can help your vision come to fruition, contact us today to schedule a free design consultation. Fuller Living is your Dedicated Team of Design & Build Specialists. We focus on all aspects of house remodel, Real Estate Services - Rental Property Management and Maintenance, Consulting, and Commercial renovation (specializing in restaurants & bars). 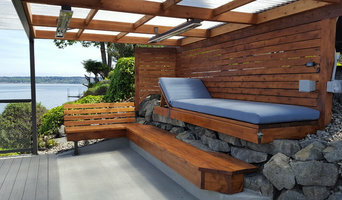 Some contractors in Seattle, WA can custom design and build any type of outdoor structure, from decking to pool houses, while others specialise in a certain area. A deck, patio and outdoor structures contractor will typically survey your space and come up with a design that complements your backyard and the exterior of your Seattle, WA house. 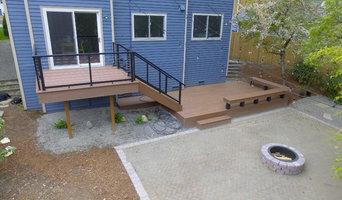 Find a Seattle, WA deck, patio and outdoor structure pro on Houzz. Scroll through this page to professionals in your area that can design, build and supply materials for all types of outdoor structures. You can browse their latest projects, read reviews to see how other homeowners rate their work, and message them directly.